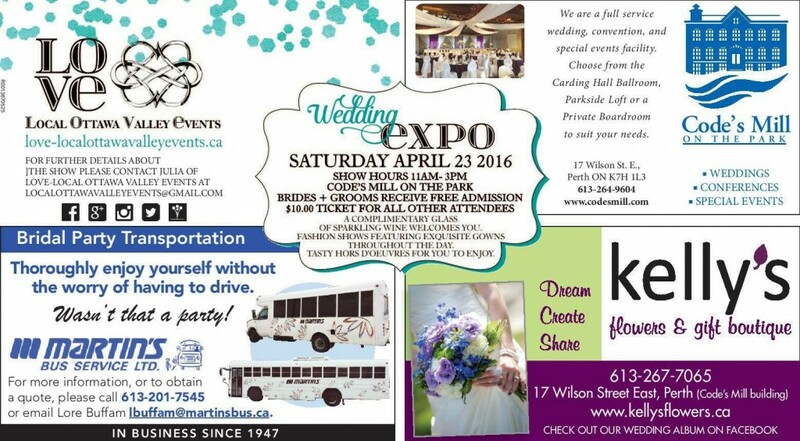 Come and join us at the Code's Mill Wedding Expo on Saturday April 23rd, 2016 from 11am to 3pm. Taking place at Code's Mill on the Park, this wedding expo offers a unique look at the venue, food, wedding services and of course, the floral options offered for your special day! Always a special and eye catching display of the amazing wedding opportunities that are available; we hope to see you there!